Frank is the most tenured team member at Shades of Green, having worked here for 24 years! 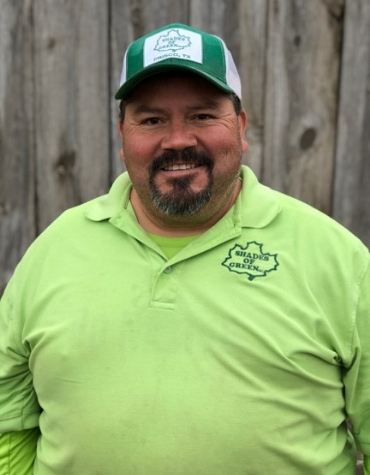 As Landscape Foreman, he oversees our landscape crew to ensure that our landscape installations come out exactly as Jeff McCauley designed them. In his many years with us, he’s played an active role in the transformation of countless front and backyards. He’s happily married with two beautiful daughters, one of whom is named Holly – which also happens to be the name of his favorite tree.